Great location! Minutes to the AnMed campus, local YMCA, VA clinic, stores, banks and schools. Large 1.9 acre lot offering lots of privacy. Two storage buildings (new storage building: 12x8, old storage building: 12x12). Large living room great for entertaining. Gas fireplace in the living room. Lovely updated kitchen with new paint, granite counter tops and stainless steel appliances. Convection double ovens. Perfect for holiday cooking! Kitchen appliances are included in the sale of the home. Laundry room with sink and lots of cabinets. Three bedrooms all currently have king size beds in them with extra room. The third bedroom has been used as a second master bedroom. There is a 4th room with no closet that would be perfect for an office or craft room. There are pocket door in some rooms and an attic fan too in this home! Nice outdoor sitting area. Above ground pool with equipment remains, but can be removed if the buyer does not want it. Hot tub does not convey with the sale of the home. Transferable First American Home Warranty offered to buyer. Metal roof. 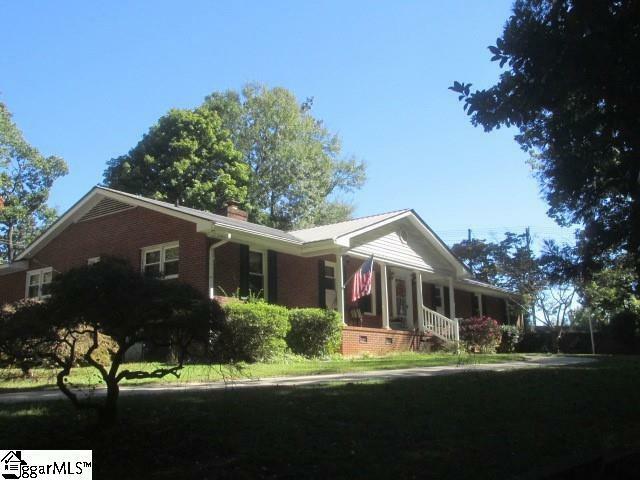 Listing provided courtesy of Luanne Jones of Coldwell Banker Hugh Durham As.